As the number of plastic increases in the environment, new ideas keep forming on how to tackle this problem. One idea that the Earth5R team has come across is upcycling the plastic into new, sustainable, useful products, such as benches. 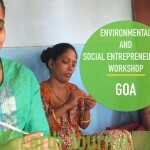 When creating these products, it creates a source of livelihood for local recyclers, including them as a major part of the circular economy. This will be implemented through Earth5R’s ACT Powai program. 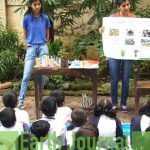 The Earth5R team gained inspiration for this idea from nine-year-old Sammie Vance who started this project in her own school in the USA. She gathered hundreds of bottle caps to create “buddy benches” at her school so that kids have a way of making friends. She has proved that anyone can create change, you do not need to be famous or a professional. Simple and well thought out actions will go a long way. This idea will also remain true in the ACT Powai project. 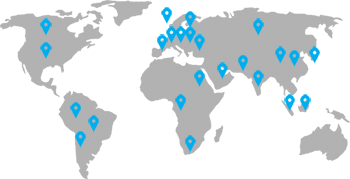 The Earth5R team has conducted regular cleanups for the last 12 weeks. The team has so far successfully recycled 800 kg of plastics and brought it back into the circular economy, rather than allowing it to fill up a landfill. We work with the ideology that simply picking up waste and dumping it elsewhere is not a sustainable solution. Instead, we need to upcycle it and return it to the circular economy. 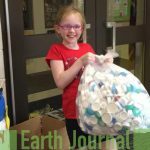 Focusing specifically on bottle caps, Earth5R plans to collect as many used plastic bottle caps as possible. In addition, funds will be raised in order to cover the cost of manufacturing the benches. 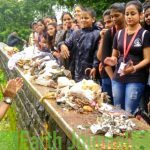 Once a sufficient amount of caps and funds have been collected, local waste pickers and recyclers will melt them and create plastic lumber bars to use for the benches. The benches will be placed around Powai Lake and neighborhoods of Powai. This is the idea behind ACT Powai – to create a long-term solution, rather than moving the problem somewhere else. We are aiming to produce 20+ benches which will be made out of recycled plastic mainly contributed from the bottle caps. Each bench will utilize up to 25-30 kgs of plastic. Bottle caps found at Powai Lake, near IIT Bombay. While conducting cleanups, bottle caps were one of the most commonly discarded plastic items. Talking to ragpickers about these bottle caps, we were informed that being small in size, gathering such bottle caps is a rather tedious task. Moreover, it does not generate much income for them. These caps are made up of grade 5 polypropylene which is recyclable but has a difficult process to do so. However, when it is recycled it can be made into sturdy materials. 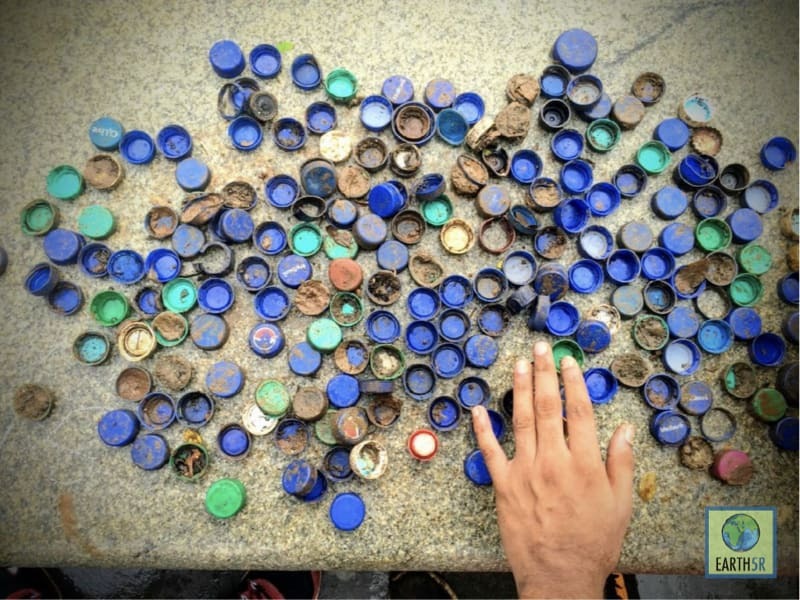 The goal is to collect 2.4 tonnes of plastic bottle caps in three months. This may seem like a huge amount, however, with the abundance of bottle caps in our vicinity, it is practically possible. This will develop a circular economy and provide a livelihood for underprivileged people, as they can segregate the waste and send it for recycling. The products which are developed, such as benches, will be installed in various public places. 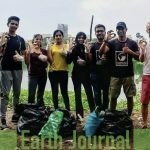 No Replies to "Creating Benches From Plastic Bottle Caps Under ACT Powai"